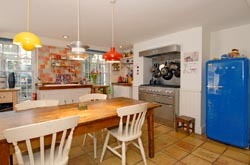 Beautiful family oasis in Peckham London. 5 minutes walk to train station. Central London trains leave regularly (around 10 minutes to Victoria Station). Gorgeous large private garden. 2 x Large Queen Bedroom, 2 x Single bedrooms, 2 x bathrooms. 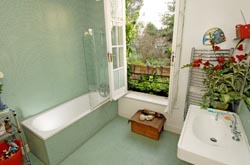 Minutes walk to shops, cafes and restaurants. Home to family of four. Vibrant multicultural part of London. Great cafes, restaurants and pubs nearby. Friendly neighbours. 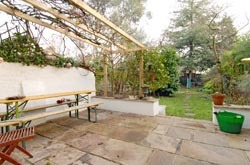 Parks close by Close to central London and public transport connections. 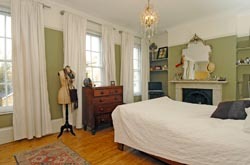 Close to London's Southbank with the Tate museums and the famous Borough gourmet food Market. We are a family of four with family in Sydney, Australia. We have an interest in collecting quirky antiques as is evident in our home. We are a professional, friendly couple. We are primarily looking for a house swap over christmas and new year. Our family live in the Eastern Suburbs so this is preferred. That said we are open to all offers!